On the trading side it's not that refined, but it's getting there. On the trading side it’s not that refined, but it’s getting there. 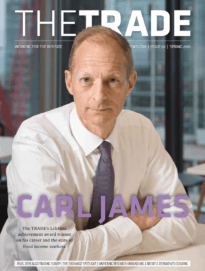 Pre- and post-trade analytics are going to become increasingly important and we are going to see buy-side firms poaching traders from the sell-side more actively. So, in the future, there will be a mix; of those that prefer to execute via brokers – that will always be the case I think – and traders who are more empowered and will execute transactions via DMA or through the assistance of algorithms. Eugene Goosen is head of trading and portfolio control at Metropolitan Asset Managers (MetAM), a full service asset management house with an active investment philosophy. He joined MetAM in March 2005 and works out of the dealing room in Cape Town. Eugene can call upon 17-years’ experience in the investment management industry, having trained initially as a money market dealer and later gaining experience in asset and liability management while working for United Bank. He went on to join ABSA Treasury, where he traded bonds and equity derivatives and later, while at RMB Asset Management, focused on trading equity derivatives before being made responsible for structured solutions. Prior to joining MetAM, Eugene was at Investec Asset Management, where he was responsible for process-wide derivative strategy, while in charge of managing the credit process and annuity portfolios. are these tools in raising the standard of buy-side trading? One uses these tools as productivity boosters. It depends on the way that you are currently managing your book. If you manage your order book in an active manner you will obviously employ a trader that makes use of DMA and basic algorithmic tools. If you are more passive or broker-driven you will make less use of algorithmic tools. One area where algorithmic tools play a huge role is in boosting productivity in handling simple orders; for example, where you have an instruction from the PM to execute as a percentage of the volume over the day, or just do the VWAP. This type of order is most often routed via an algorithmic engine, leaving the trader to focus on the executions given to brokers or where he’s doing DMA execution himself. Is there a need for more sophisticated tools or will algorithms, for example, only ever be used to ‘clear the noise’? That’s certainly the starting point for many. For a more accurate picture, however, you have to look at the change management that’s taking place in the trading environment. In the US, for example, traders use algorithms as liquidity searching engines, because the markets are fragmented. The Europeans meanwhile, are still using algorithms as trading tools rather than as liquidity seeking engines. In South Africa, algorithms are only now coming to the fore because previously a lot of players in our market were not FIX-enabled. Dealing rooms are evolving. People that were simple implementers are slowly being ‘up-skilled’ and the role they performed partly replaced by algorithmic engines. 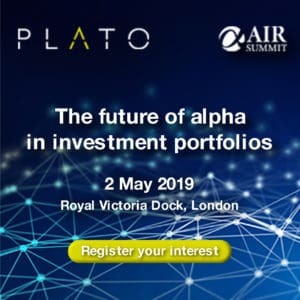 As the skill-set evolves, the value add, especially on the second generation algo engines, will come to the fore and it will be alpha enhancing.